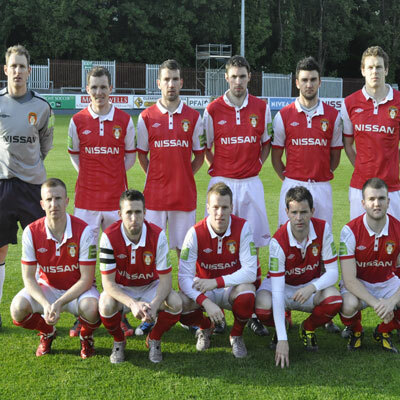 Rogers; Pender, Shortall, E McMillan, Harney; Doyle, Crowley (Mulcahy 88 mins), Bradley, Murphy (Keegan 65 mins); Kavanagh, North. Kelly; Davoren, Keane, McGuinness, Peers; Kirby (Ventre 72 mins), Ndo, Ryan, Russell (Horgan 72 mins), Greene; Doyle (Blinkhorn 81 mins). Danny North, who had opened the scoring for the home side, got his second goal in the 4th minute of added time to steal the points for Pat's. 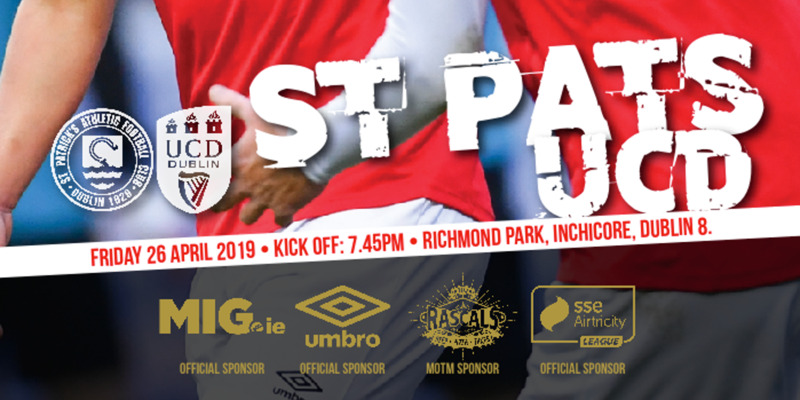 North's left-footed shot sailed into the top right of Ciaran Kelly's net to seal an impressive night of football in Inchicore. North had put the home side ahead on 4 minutes when he pounced on John Russell's back pass and finished past Kelly. 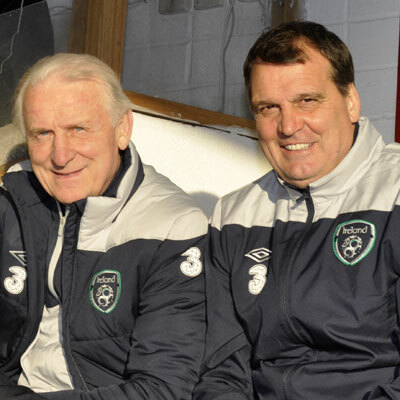 Former Saint Alan Kirby had put Rovers back into contention on 45 minutes, in a game watched by Republic of Ireland manager Giovanni Trapattoni and his assistant Marco Tardelli. There were just three minutes and seventeen seconds on the clock when North netted his fifth league goal of the campaign. The Englishman pounced on John Russell's weak back pass on the right, got the better of Jason McGuinness and Gavin Peers before curling an excellent shot past Rovers goalkeeper Ciaran Kelly. If awards were ever given for the manager who could make his voice heard clearest in a noisy stadium, Rovers boss Paul Cook would be a leading contender. His Liverpudlian tones bellowed around the banks of the Camac as he roared encouragement to his side. 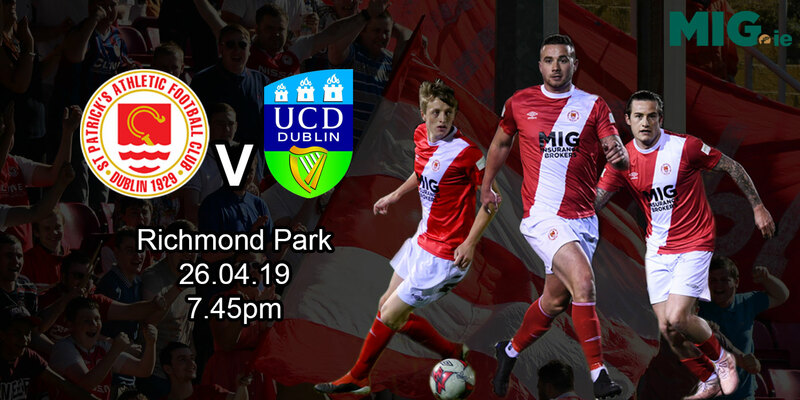 Former Saints Kirby and Joseph Ndo along with current league top scorer Eoin Doyle in particular forced threat after threat to the Pat's defence but they withstood the onslaught. 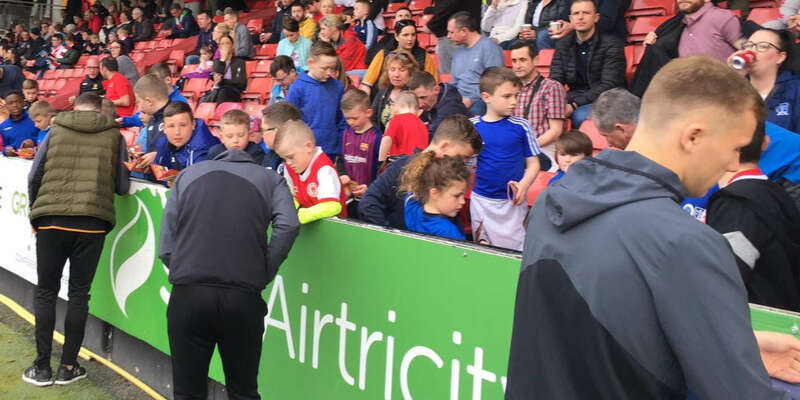 Evan McMillan formed part of that Pat's backline but threatened at the other end with Kelly saving his header after an Anto Murphy throw-in on 24 minutes. McMillan then narrowly failed to connect with Stephen Bradley's stinging free kick on the half hour. A neat Rovers move on 32 minutes saw Alan Keane play Kirby in, but his subsequent shot was too weak to trouble Rogers, when a pass to the in-rushing Doyle might have been a better option. Pat's nearly doubled the lead on 41 minutes when Bradley exchanged passes with Daryl Kavanagh before shooting from the edge of the area. However, he dragged his shot wide right of the target. Rovers were level just moments before the break when Aaron Greene's excellent run and cross was knocked back by Doyle into the path of Kirby, and he made no mistake from close range. Doyle and Kirby continued to get stuck in for Rovers as the second period developed while Daryl Kavanagh came more and more into the game for Pat's. He threatened on 64 minutes when he got onto a Neil Harney pass and beat two Sligo defenders but he then scuffed his shot, gifting Kelly an easy save. Kavanagh blasted over the bar on 74 minutes after a super Sligo move involving Doyle, Russell and Greene. It looked like both sides would have to settle for a point but North popped up in the fourth minute of added time with a fantastic left-footed effort that gave Kelly no chance.